I’ve had success in the kitchen using various gluten-free flours. But I’ve always been a little hesitant when it comes to baking with coconut flour. Coconut flour is a wonderful healthy gluten-free flour substitute because it’s high in fibre and obviously lower in carbohydrates. However, it can be tricky to use because it absorbs a lot of liquid, so you really have to experiment with the flour to liquid/eggs ratio and make adjustments. I’ve made pancakes and muffins with coconut flour, but they just tasted too eggy. Recently I went back to searching for a good coconut flour recipe, and I found this one, which had some excellent reviews. What’s more, I already had all the ingredients on hand, so I was really excited to try making these. And wow, these cookies were amazing! I sort of expected them to be mediocre at best…I mean, they’re healthy so not necessarily great tasting, right? But was I ever wrong! I seriously couldn’t stop eating them! They’re best fresh out of the oven (if you can wait long enough for them to cool down a little first!). And just in case you’re wondering about the texture, they’re cake-like and not soft and chewy. 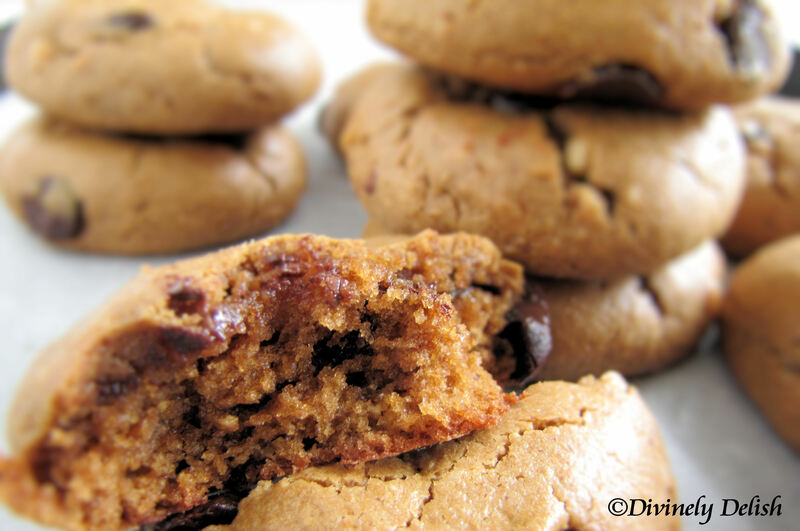 I know…I usually do prefer my cookies soft and chewy too but hey, these were so delicious I couldn’t really complain. I managed to save some to bring to work and surprisingly, my colleagues loved them so much they were asking for the recipe! 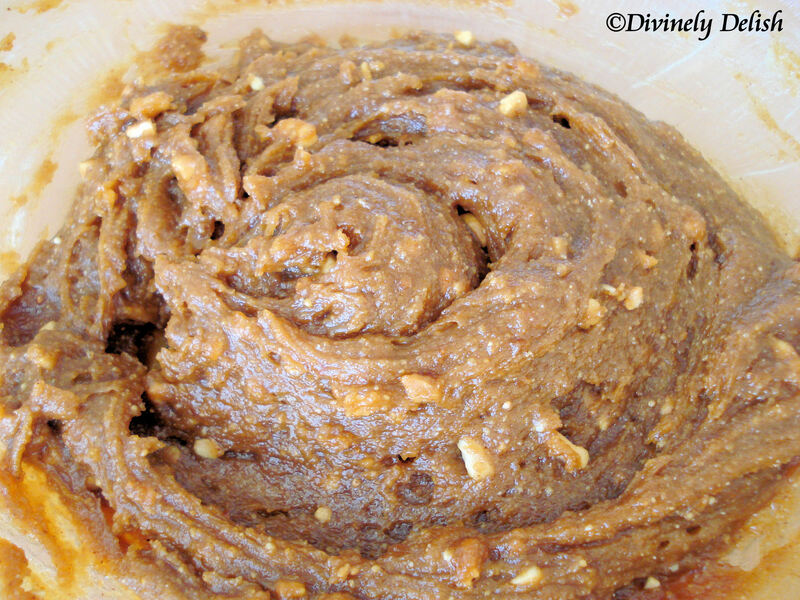 The original recipe called for creamy almond butter, which I substituted with crunchy all-natural peanut butter because that was what I had. I thought the level of sweetness was just right, but the second time I made these cookies, I decided to try reducing the sugar, and didn’t find much difference in the taste. So if you really want to cut down on the sugar, I’d recommend using 1/3 cup. I also made a batch with goji berries instead of chocolate chips. I used dried goji berries soaked in hot water for about 10 minutes, drained, then roughly chopped up. Or, try putting in whatever other additions you like! 1) Preheat oven to 350 degrees Fahrenheit. Line a cookie sheet with parchment paper. 2) In the bowl of a food processor, add in peanut butter, coconut sugar and coconut oil; process until it comes together, about 1 minute. 3) Add in eggs and process again. 4) Add in coconut flour, baking soda and salt; process again until a dough forms. 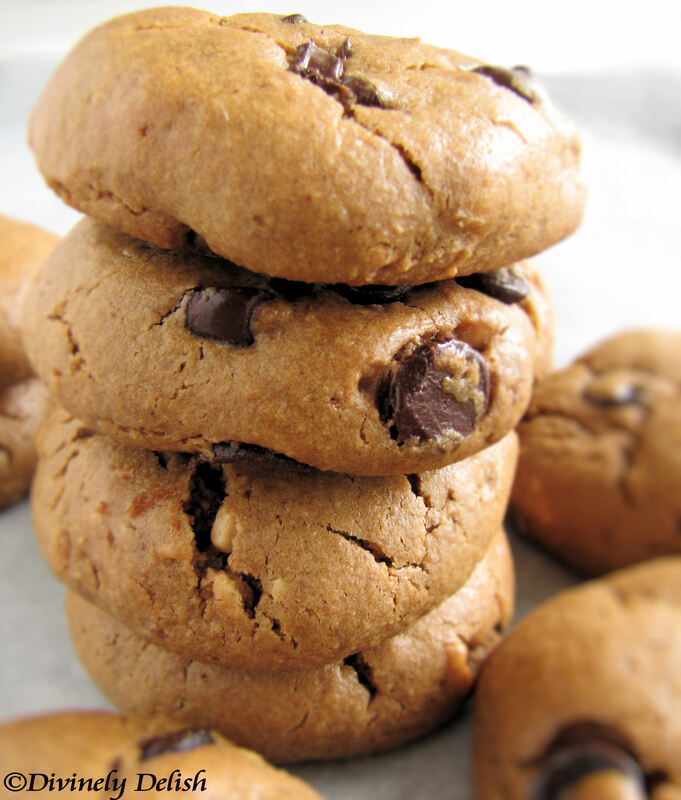 5) Fold in chocolate chips. 6) Use a 1/8 cup measuring cup to to drop dough onto prepared cookie sheet. Dough will be sticky, so wet hands a little, roll dough into balls, then flatten slightly with the palm of your hand. 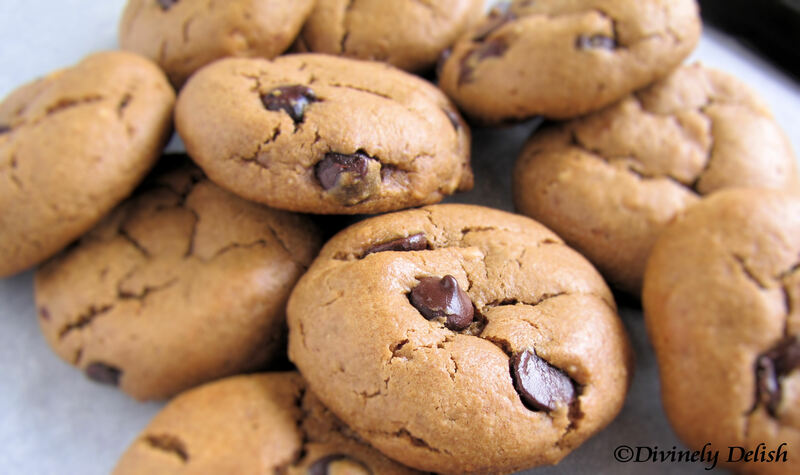 7) Bake for 8-10 minutes or until cookies turn slightly golden brown around the edges. 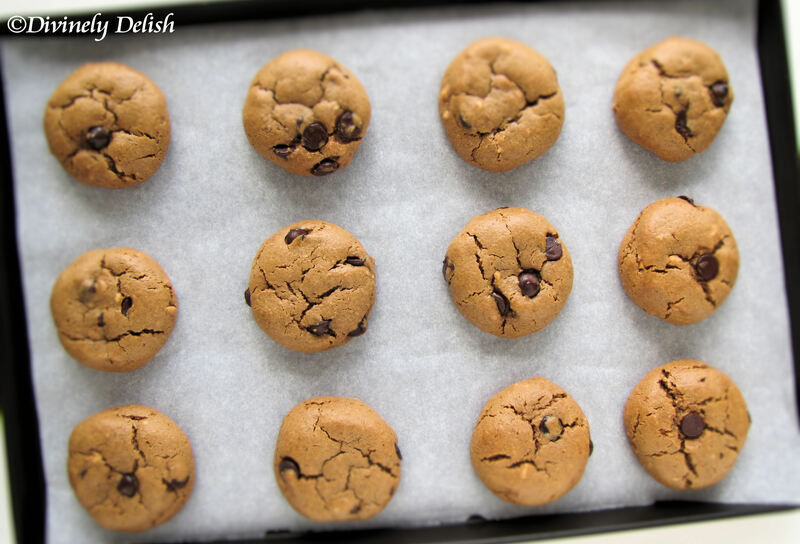 Allow them to cool on cookie sheet for at least 5 minutes, then transfer to a wire rack to finish cooling.